World Oceans Day is here!!! 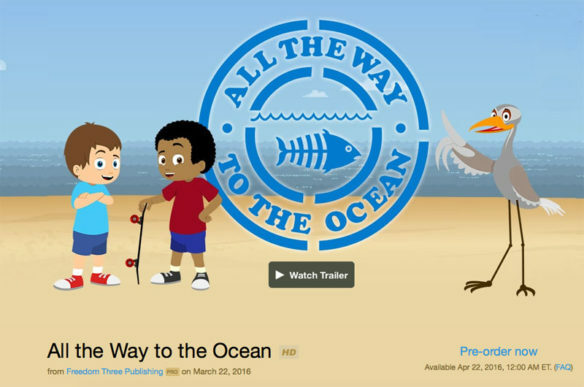 “All the Way to the Ocean” animated film premieres on iTunes today, World Oceans Day! Help educate and celebrate with All the Way to the Ocean the animated movie now available on iTunes – featuring the talents of acclaimed actors, award winning musicians, and dedicated activists; including Amy Smart, Ben Harper, Burning Spear, Jack Johnson, Joel Harper, Marcia Cross, and Xavier Rudd. In honor of World Oceans Day and the amazing support given by the community to Joel Harper’s beloved book and cause – exclusives are offered on both iTunes and on Vimeo.